One of history’s greatest and most visionary rebels against great odds. That’s Owain Glyndwr, leader of a war of national liberation that the Welsh waged against the might of the English crown for more than a decade at the start of the fifteenth century. Glyndwr’s Revolt took place at a time when the suppression of the original Knights Templar had only just slipped from living memory, so one of our modern Templars thought it fitting to make a journey to the place this remarkable man called home. 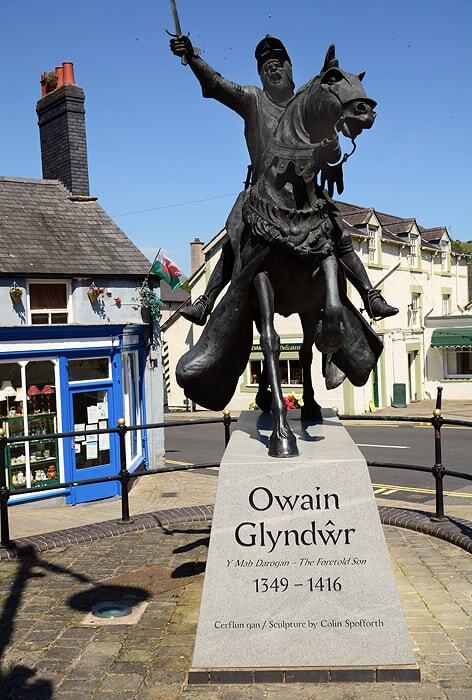 Born around 1349, Glyndwr was a well-connected gentleman and war veteran. Despite having ancient Welsh royal blood, he served his time as a lawyer in London’s law courts. He was almost certainly in London at the time of the Peasants’ Revolt of 1381. If so, what he saw of the ‘Great Rising’, which was in reality a rebellion of the native English against their Anglo-French masters, must have influenced his later course. Intriguingly, Winston Churchill, in his History of the English Speaking Peoples, noted that the revolt was guided and organised by a secret ‘Grand Council’ based in London. The date and circumstances strongly suggest that such a secretive body could well have sprung from a group of outlawed Templar Knights. Be that as it may, Glyndwr (whose personal seal is shown, left) returned home in 1383, where he married David Hanmer’s daughter, Margaret, started his large family (they had eleven children and, despite the deaths of his sons in battle, several of their daughters are numbered among the ancestors of many modern English upper class families) and established himself as the Squire of Sycharth and Glyndyfrdwy, with all the responsibilities that entailed. He also entered the English king’s military service in 1384, serving in a garrison on the Socttish border, seeing action during the defeat of a Franco-Spanish-Flemish fleet off the coast of Kent. But when he clashed with a Anglo-Norman baron over common land stolen by his powerful neighbour, and was robbed in court, Glyndwr decided to raise the standard of revolt in a nation full of bitterness over its loss of independence a hundred years before. Owain formally assuming his ancestral title of Prince of Powys on 16 September 1400. The revolt spread. Royal officials reported that Welsh students at Oxford University were leaving their studies to join Owain, and Welsh labourers and craftsmen were abandoning their employers in England and returning to Wales. Owain could draw on Welsh troops seasoned by the English campaigns in France and Scotland. Hundreds of Welsh archers and experienced men-at-arms left English service to join the rebellion. Owain Glyndwr was more than just a military leader though. He also showed remarkable vision as to what a modern nation state needed – centuries ahead of his time. 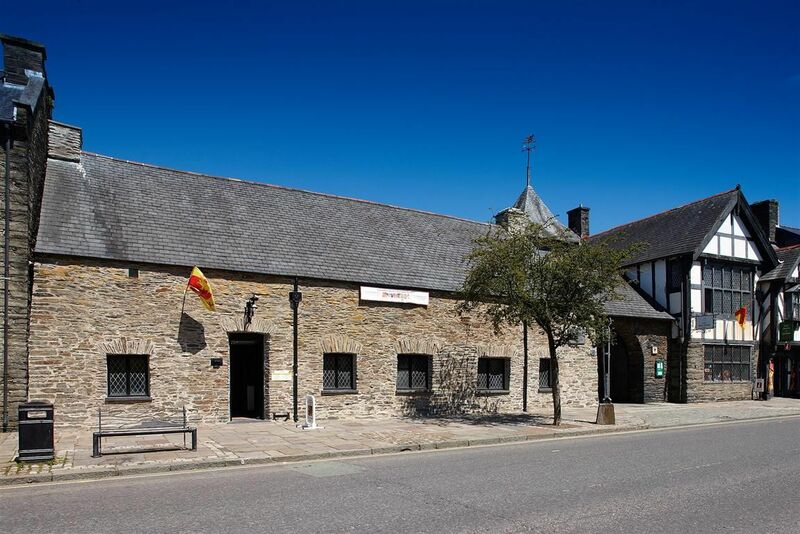 In 1404, Owain held court at Harlech and called his first Parliament (or Cynulliad or “gathering”) of all Wales at Machynlleth, where he was crowned Prince of Wales and announced his national programme. His parliament house in Machynlleth may still be seen today (above). He declared his vision of an independent Welsh state with a parliament and separate Welsh church. There would be two national universities (one in the south and one in the north) and a return to the traditional Welsh laws of Hywel the Great. Unfortunately for Welsh aspirations, however, Henry IV and his son Henry (Shakespeare’s Prince Hal) managed to end the civil war in England. Prince Henry – who early in the war had burned Glyndwr’s family home to the ground – then began a strategy of economic blockade. Using the castles that remained in English control, he gradually began to retake Wales while cutting off trade and the supply of weapons. The Welsh forces were ground down. The Welsh revolt lasted nearly 15 years, but the last rebel raids ended and Glyndwr himself disappeared. The young Henry V offered a pardon, but the old rebel refused to bend the knee. Persistent rumours placed him living disguised as a Fransiscan monk at the Herefordshire home of one of his daughters. To the Welsh peasantry, however, he had gone to sleep under a mountain in Wales, ready – like Arthur – to rise again at their hour of greatest need. What is certain is that the site of Glyndwr’s great hall at Sycarth, near the English border town of Oswestry, can still be visited. The green motte rises above the old defensive ditches, and cattle graze peacefully where bards were once generously rewarded rewarded for their skill in relating ancient tales of the heroes of Wales. Many thanks to our Brother for the photos and information.